Top-notch digital mapping solution providers adding values to diverse businesses via personalized, intuitive and interactive AIS & GIS based map development & integration services. Leveraging AIS (Adhesive Interconnect System), we provide tailor-made solutions for voyagers, administration departments, marines, logistics companies, government authorities and individual business entities for range of applications through digital mapping integration services. We provide custom web and mobile application development with interactive AIS maps integration into Android and iOS platforms. Our vision is to deliver robust, affordable, adaptable, precise and real-time tracking solutions for our global clients via intuitive and interactive AIS mapping system. We innovate and provide custom applications on Android and iOS platforms with AIS map integration to deliver an interactive solution for businesses. It creates an interactive system communication platform for the business owners & administrators with precise data sharing availability. Our experienced website application development team develops quality and robust web AIS tracking system. AIS vessel tracking system will help marine businesses and logistic companies to monitor their fleet of ships or vehicles through the same screen without any reloading leveraging AIS map integration services. We are experts in using AIS map APIs to integrate and provide seamless solutions through web and mobile app platforms. We are also the specialists in developing custom map integration and digital mapping solutions for custom routes and navigation, road view, grids, traffic and transport information etc. Leveraging our expertise in developing applications for real-time tracking, we develop AIS and GIS based solutions for enhanced mapping, navigation, supply chain and tracking solutions. Our AIS mapping solutions help businesses to improve data analysis to make better decisions in order to enhance efficiency and productivity. Our AIS and GIS based fleet management and monitoring system will allow businesses to not only track but also select a number of favourite vessels. The real-time data sharing will enable the fleet presentation access to monitor and discuss commencing business strategy and operations. Perhaps the most significant solution to resolve the traffic issues for millions of driver on the road, comes via AIS mapping integration. Get real-time alerts and notifications for any mishaps, hazards or congestion and select the recommended route to reach to your destination. Isn’t it the smartest way for businesses to enhance the productivity while cutting fuel costs? Adhesive Interconnected System (AIS) is a blessing for the vessel or container watchstanding officer and other maritime authorities to track and monitor it in real-time. We build systems where GPS receiver is integrated into AIS along with VHF transceiver and other electronic navigation sensors like gyrocompass. Our interactive AIS maps programmers develop interactive web and mobile mapping solutions which helps user to not only search the property through an address, but also to filter depending upon occupancy levels, grounds maintenance, land registration titles, solar potential, etc. Our GIS based interactive mapping for housing management provides customized user interface, access control for profile management along with data editing for management. Intuitive mapping system integration allows healthcare authorities to have an improved visualization of healthcare services to make better decisions. It will display organization assets and filter to categorize depending upon the services provided. Demographic mapping can also be done to showcase survey data and make effective decisions. Interactive AIS & GIS based mapping cater number of mapping solutions for government agencies. Interactive maps can show stats for regions regarding criminal activities, hazardous weather information, geographical areas affected by pollution, economy, population, travel, transport and railway infrastructure, etc. Interactive maps hold the power for a better society and much improved infrastructure of country, city and state through real-time data and analysis. 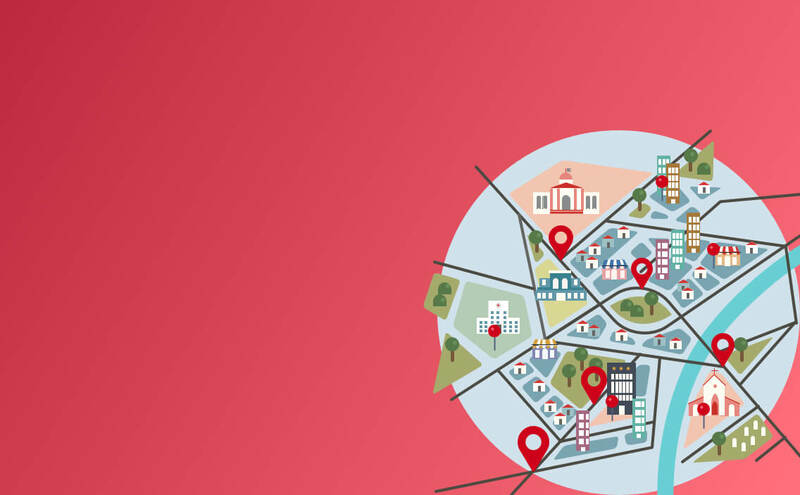 What Let’s Nurture offers for Interactive AIS Maps Solutions? Why choose Let’s Nurture to develop & integrate Digital Mapping Solutions? Let’s Nurture is an award winning ISO 9001:2015 certified IT company providing digital solutions to almost all industry verticals globally. The AIS and GIS based maps we create and integrate are mesmerizing, intuitive and interactive that are simple yet elegant. With Let’s Nurture, your maps and data are in safest hands possible as our best-in-class cloud services ensure access control, speed and reliability. What time would be required for interactive AIS maps to be implemented to our existing system? It will take approximately 300 hours to 350 hours to develop and deploy from the moment of kick-off. Again, it also depends on the complexity of the project and number of tools to be incorporated within the system. Can interactive AIS maps be used for geological survey reporting? Yes, topographic maps with specific zones can be developed and deployed for geological survey and reporting. What is your experience in developing and implementing interactive AIS maps? We have already implemented for one interactive AIS map for local law enforcement agency in South America and two ministerial departments of countries in Middle East Asia. What all types of reports can be implemented for reporting? What monetization strategies can be implemented with this interactive AIS mapping solution? The monetization again depends upon case-to-case basis. Though in-app purchase, 3rd party advertisements and subscription are some strategies which can be implemented for web and mobile app monetization.